Changing up things a little bit, I decided to do a versus feature of two albums from the same genre. This time around will be hip-hop and I will tell you my thoughts for each album, on the left side we have Tyga and his sophomore album “Careless World: Rise of The Last King”, and on the right side we have the duo Chiddy Bang and their debut studio album “Breakfast”. 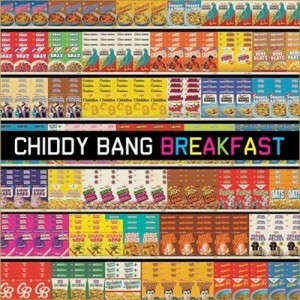 Well, that’s it for our Music Review Versus, the winner has been: CHIDDY BANG’S BREAKFAST! Originality is key, and Tyga failed to impress me. Make sure to support The Young Folks and buy both albums through our TYF Store! Previous ArticleFilm News: Watch the new trailer for Pixar's BRAVE!